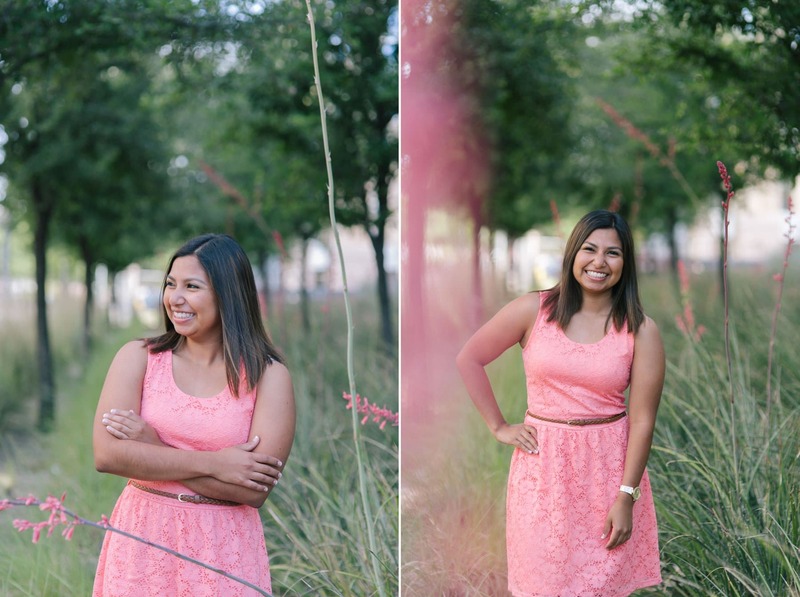 I love shooting friends & family of past clients! 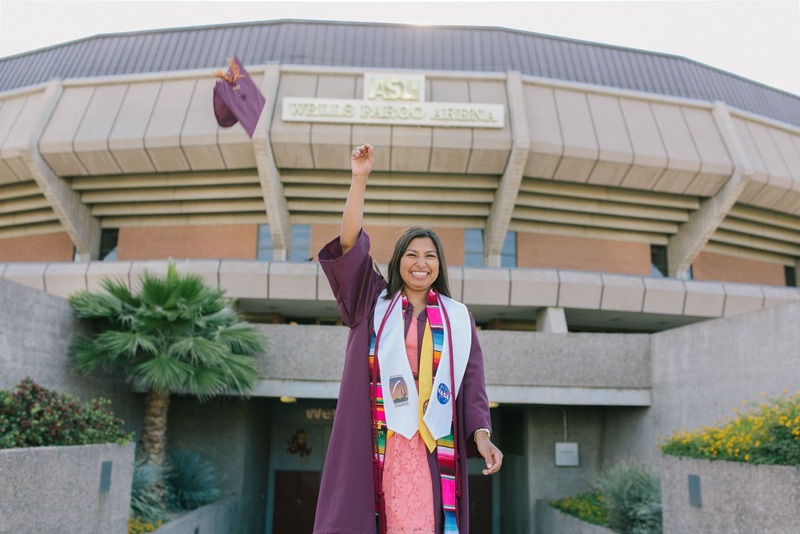 Rocky is Leonor’s sister who graduated with honors from Arizona State University. 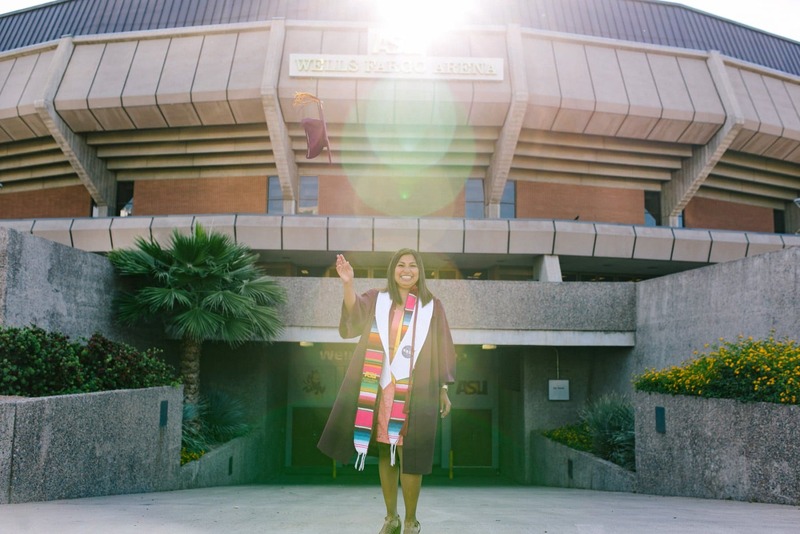 I’m so glad to see that getting college graduation photos are becoming more and more popular- graduating college is even more of an accomplishment than high school so it only makes sense to have a portrait session done to commemorate that! Plus it’s a great way to get some nice headshots for that job search. Most college seniors opt for a session on their college campus. 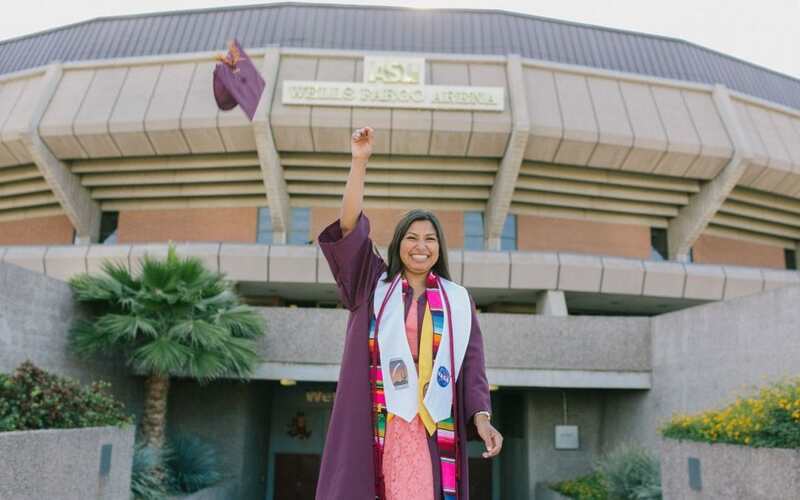 Rocky & Leonor’s dad works for ASU, so they both grew up around and on campus, so it made it a special place to shoot her graduation portraits. 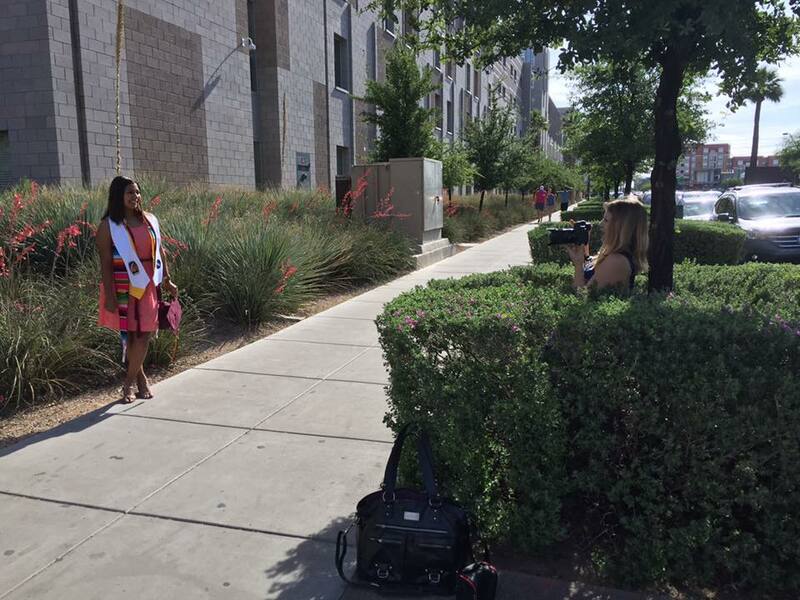 ASU is a huge and diverse campus, so every time I shoot a session there I can always make it look different. I love finding little pockets like that green area with the pink flowers. Leonor was kind enough to take some hilarious pulled back shots of me during the session to show you the silly positions I shoot in as well as give you an idea of how I see things versus what the location really looks like! 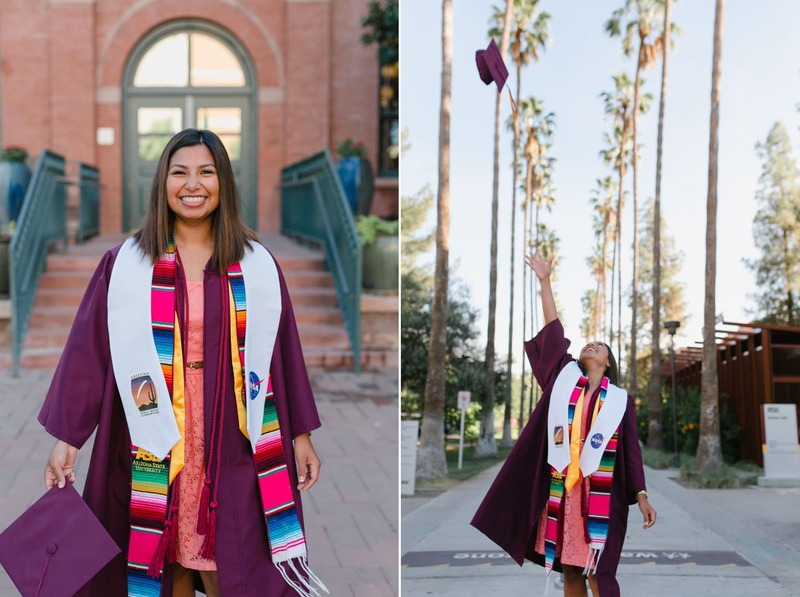 Check out some other Arizona college grad portrait sessions! 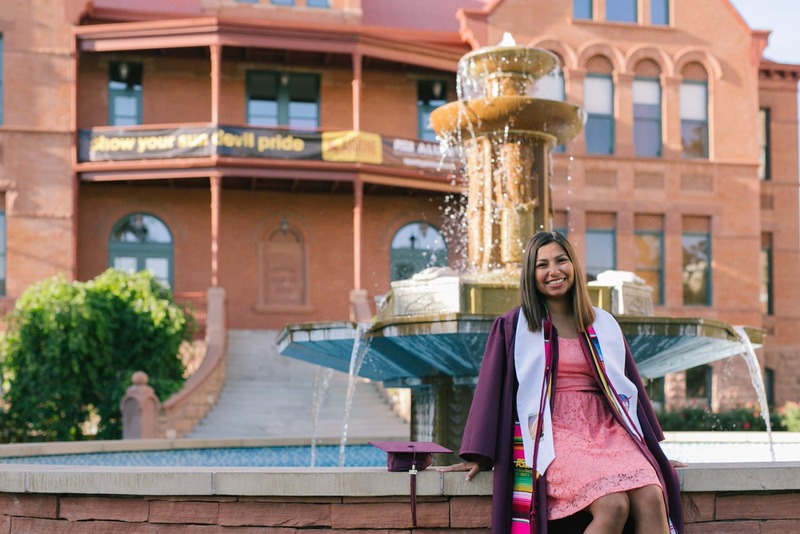 You can have an ASU college graduate session with your significant other like these two cuties did. If you’re a ASU downtown college senior, or an ASU West campus college grad, we can definitely shoot on other campuses besides ASU Tempe! 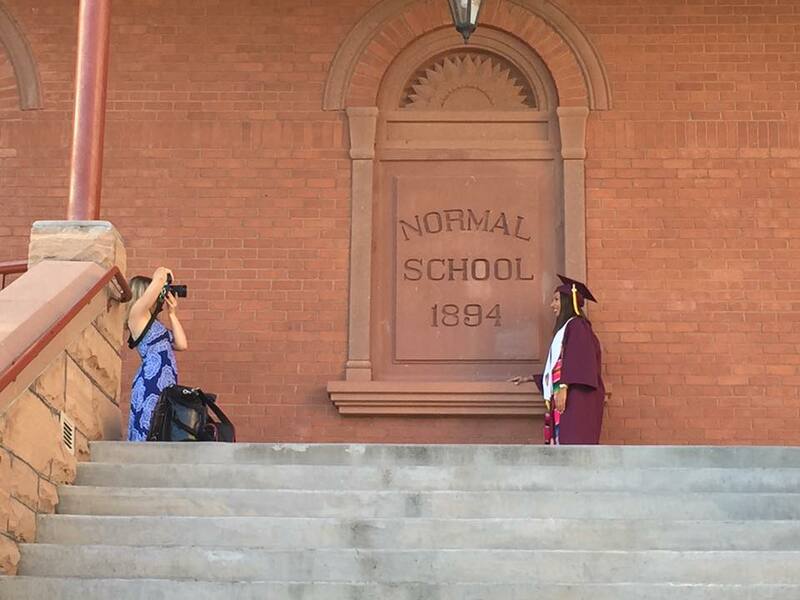 You definitely don’t have to shoot on your college campus either. 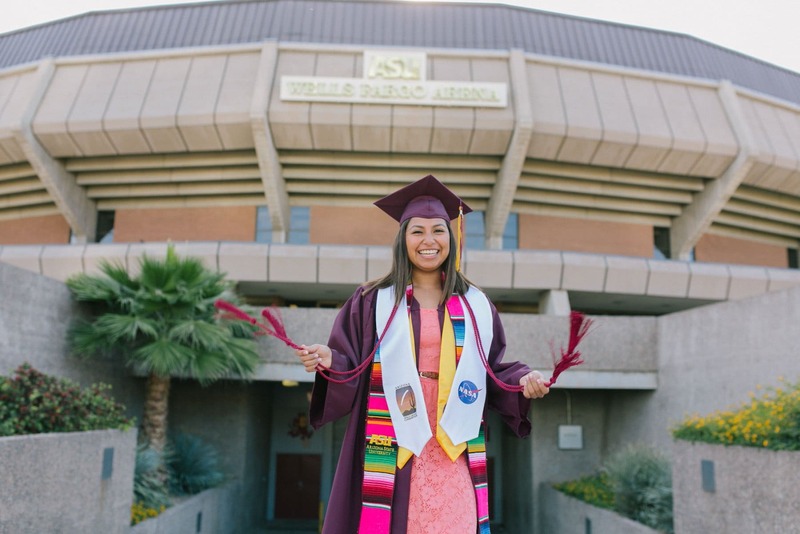 Cooper had his college senior photos taken in downtown Mesa, and Tasha had her college senior portrait session at Papago Park in Tempe, and Sierra had her college grad session practically in her backyard in the Superstition Mountains. Pick your location based off your personality and you definitely don’t have to have your session look like everyone else’s!